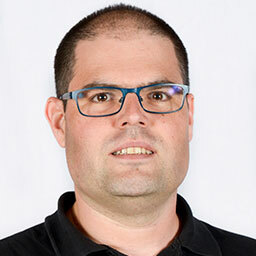 David Carrera received the MS degree at the Technical University of Catalonia (UPC) in 2002 and his PhD from the same university in 2008. He is an associate professor at the Computer Aachitecture Department of the UPC. 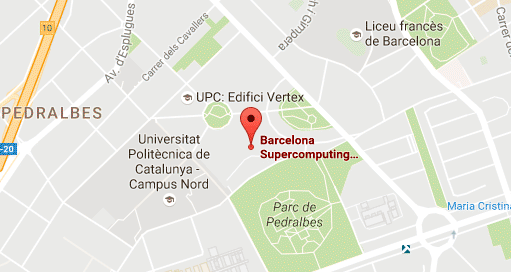 He is also the Head of the "DataCentric Computing" research group at the Barcelona Supercomputing Center (BSC). His research interests are focused on the performance management of data center workloads. In 2015 he was awarded an ERC Starting Grant for the project HiEST ('Holistic Integration of Emerging Supercomputing Technologies', 1.5M€, 2015-2020). He has participated in several EU-funded projects and has led the team at BSC that has developed the Aloja project (aloja.bsc.es) and the servIoTicy platform (servioticy.com). He is the PI for several industrial projects and collaborations with IBM, Microsoft and Cisco among others. He was a summer intern at IBM Watson (Hawthorne, NY) in 2006, and a Visiting Research Scholar at IBM Watson (Yorktown, NY) in 2012. He has been involved in several EU and industrial research projects. He received an IBM Faculty Award in 2010. He is an IEEE member. Advance research frontiers in the management of Software Defined Infrastructures, providing holistic optimization solutions for the optimization of Data Centers. A critical angle of this objective is the development of advanced Task Placement and Scheduling techniques, and extending unifying performance models for heterogeneous infrastructures and workloads. Advance research frontiers in the development of technologies for developing mechanisms for an automated characterization of cost-effectiveness of Big Data deployments, such as Hadoop, to explore how runtime performance, and therefore its price, are critically affected by relatively simple software and hardware configuration choices. The group architected and maintains the ALOJA open-source benchmarking platform. Advance research frontiers in the design and exploitation of Active Storage technologies by conducting evaluation of NVM technologies for workload acceleration, either through memory extensions for in-Memory computing (scale-up) or creating abstractions to access global address spaces (scale-out). Explore novel architectures of the emerging IoT stream processing platforms, that provide the capabilities of data stream composition, transformation and filtering in real time. The group architected and maintains the servIoTicy platform. Learning Algorithms for guiding task and data placement algorithms for Data Center optimization. The effort includes modelling workloads with learning technologies, from classical Machine Learning to Deep Learning aproaches.